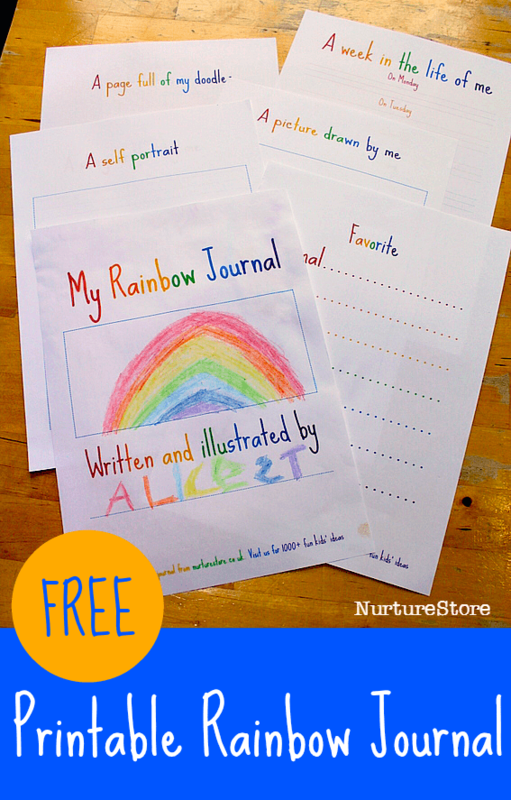 These free rainbow-theme printable journal pages for kids are great for spring and St. Patrick’s Day. Here’s a set of ten journal pages that you can print for free. They include some writing prompts, pages for storytelling, doodling and sketching, and space to journal each day of your week. You can print as many copies as you like, for a whole family or class, and as many copies of each individual page as you need. 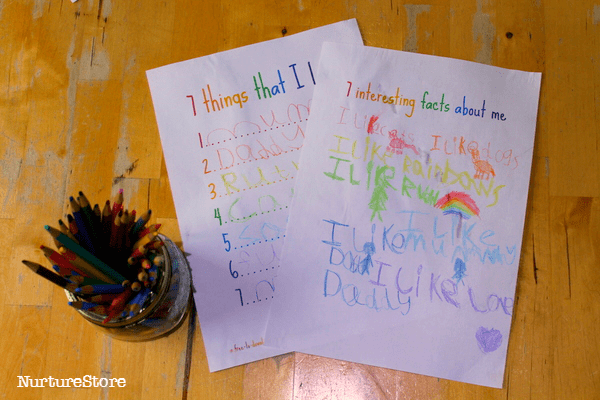 My daughters’ love journal pages like these – they’re cute and colourful, with just the right balance of idea prompts and free activities to get them writing, drawing, and creating. 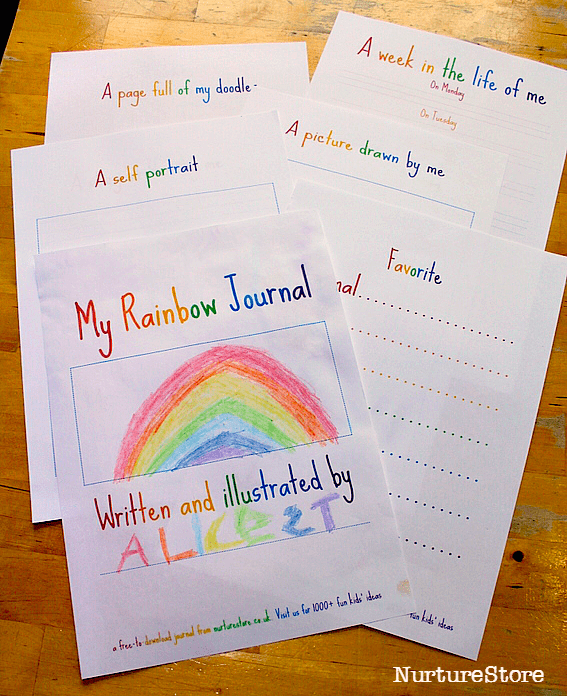 You can print off a set and use them over a dedicated week of journalling, take them in the car with you for an on-the-go activity, or dip into them over time when you want to add some writing to your day. i love this! am sharing it right now!